Start off your visit on the 20th (Sat): kick back and relax at Burleigh Head National Park, then enjoy the sand and surf at Kirra Beach, and then buy something for everyone on your list at Robina Town Shopping Centre. On the 21st (Sun), you'll have a packed day of sightseeing: explore the wealth of natural beauty at Natural Bridge. To find photos, traveler tips, and other tourist information, refer to the Gold Coast trip itinerary builder tool . Townsville to Gold Coast is an approximately 18.5-hour car ride. You can also take a train; or take a bus. Plan for slightly colder temperatures traveling from Townsville in April, with highs in Gold Coast at 30°C and lows at 19°C. Finish up your sightseeing early on the 22nd (Mon) so you can catcht the bus to Byron Bay. On the 22nd (Mon), contemplate the waterfront views at Lake Ainsworth, identify plant and animal life at Pat Morton Lookout, then enjoy the sand and surf at Wategos Beach, and finally enjoy the sea views from Cape Byron Lighthouse. For other places to visit, more things to do, maps, and tourist information, refer to the Byron Bay online vacation planner . Traveling by bus from Gold Coast to Byron Bay takes an hour. Alternatively, you can drive. 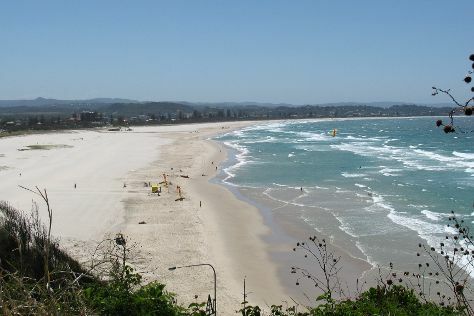 Traveling from Gold Coast in April, plan for a bit cooler nights in Byron Bay, with lows around 16°C. Finish your sightseeing early on the 23rd (Tue) so you can drive to Noosa. Start off your visit on the 23rd (Tue): enjoy the sand and surf at Marcoola Beach, then identify plant and animal life at Point Cartwright, and then delve into the lush surroundings at Buderim Forest Park. Keep things going the next day: explore the striking landscape of Noosa National Park. To see maps, where to stay, other places to visit, and other tourist information, go to the Noosa trip itinerary website . Drive from Byron Bay to Noosa in 4 hours. Alternatively, you can do a combination of bus and train; or take a bus. 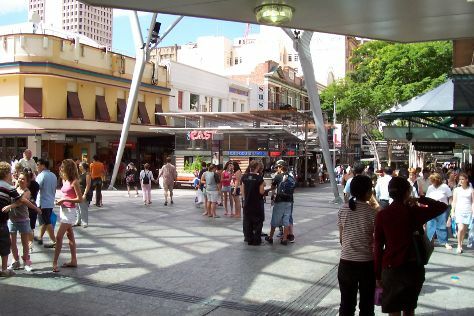 Finish up your sightseeing early on the 24th (Wed) so you can go by car to Brisbane. Start off your visit on the 25th (Thu): contemplate the long history of Boggo Road Gaol (Jail), then explore the world behind art at Queensland Art Gallery, then contemplate in the serene atmosphere at Old St Stephen's Catholic Church (Pugin Chapel), and finally wander the streets of Queen Street Mall. To find more things to do, other places to visit, and tourist information, you can read our Brisbane trip builder app . Traveling by car from Noosa to Brisbane takes 2 hours. Alternatively, you can take a train; or take a bus. In April, plan for daily highs up to 30°C, and evening lows to 19°C. On the 26th (Fri), you'll have the morning to explore before heading back home.